It is a violation of Federal law to use this product in a manner inconsistent with its labeling. For home use only. Do not allow adults, children or pets to enter the treated area until sprays have dried. Do not apply this product in a way that will contact adults, children or pets, either directly or through drift. Do not wet plants to point of runoff or drip. Remove pets and birds, and cover fish aquariums before spraying. Do not apply when windy. To prevent product runoff, do not overwater the treated area(s) or apply when heavy rain is expected. Rinse applicator over lawn or garden area only. Not for use in outdoor residential misting systems. Do not water the treated area to the point of runoff. Do not make applications during rain. All outdoor applications to impervious surfaces such as sidewalks, driveways, patios, porches and structural surfaces (such as windows, doors and eaves) are limited to spot and crack-and-crevice applications only. Application is prohibited directly into sewers or drains, or to any area like a gutter where drainage to sewers, storm drains, water bodies or aquatic habitat can occur. Do not allow the product to enter any drain during or after application. SHAKE BEFORE USING. Turn nozzle to “spray” or “stream” position before using. Hold sprayer 18 to 24 inches from foliage or surfaces being treated. Direct the spray so that upper and lower surfaces are contacted. Use caution on new growth and tender foliage. To control insects named, apply this spray to provide thorough coverage of upper and lower leaf surfaces. Repeat treatment weekly or as needed to control infestations. May be applied on day of harvest. DO NOT TRANSPORT OR STORE UNDER 32°F. If freezing occurs, thaw and agitate vigorously. Do not apply more than 10 times per season. 24 fl oz treats 32 sq ft (8 ft x 4 ft). Kills most harmful insects including, but not limited to: ants, aphids, armyworms, bagworms, beetles, caterpillars (including tent), chinch bugs, clover mites, crickets, cutworms, earwigs, firebrats, fruit flies, grasshoppers, green bugs, green fruitworms, green June beetles, Japanese beetles, lace bugs, leafhoppers, leafminers, leafrollers, maggots, mealybugs, millipedes, mites, moths, pillbugs, rootworms, sowbugs, spittlebugs, stink bugs, thrips, tomato hornworms, webworms (including garden, sod), weevils, whiteflies. Ideal for use on the following houseplants, roses, flowers and ornamentals: African violets, azaleas, begonias, camellias, dahlias, dogwood, roses, wandering Jew, asters, carnations, chrysanthemums, geraniums, gladioli, marigolds. Ideal for use on most vegetables, herbs, fruits and nuts including, but not limited to: almond, apple, apricot, arugula, basil, bean, beet, blackberry, blackeyed peas, blueberry, broccoli, Brussels sprouts, cabbage, chamomile, cantaloupe, carrot, cauliflower, celery, cherry, chives, corn, cranberry, currant, curry leaf, eggplant, endive, garden peas, garlic, grape, grapefruit, honeydew, horseradish, lemon, lentils, lime, lettuce, melon, mint, nectarine, onion, orange, parsley, peach, pear (bitter melon), pepper (including bell, chili), plum, potato, pumpkin, radish, raspberry, sage, snap bean, soybeans, spinach, strawberry, summer squash, sweet bay (bayleaf), sweet potato, tangerine, tomato, watermelon, yam, zucchini. Pesticide Storage: Do not contaminate water, food or feed by storage or disposal. Pesticide Container Disposal: If empty: Nonrefillable container. Do not reuse or refill this container. Place in trash or offer for recycling if available. CAUTION. Harmful if swallowed or absorbed through skin. Avoid breathing vapor. Avoid contact with eyes, skin or clothing. If Inhaled: Move person to fresh air. If person is not breathing, call 911 or ambulance, then give artificial respiration, preferably mouth-to-mouth if possible. Call a Poison Control Center or doctor for further treatment advice. If in Eyes: Hold eye open and rinse slowly and gently with water for 15-20 minutes. Remove contact lenses, if present, after the first five minutes, then continue rinsing eye. Call a Poison Control Center or doctor for treatment advice. Have the product container or label with you when calling a Poison Control Center or doctor, or going for treatment, or call 1-800-257-3379 for emergency medical treatment information. This product is toxic to aquatic organisms, including fish and invertebrates. To protect the environment, do not allow pesticide to enter or run off into storm drains, drainage ditches, gutters or surface waters. Applying this product in calm weather when rain is not predicted for the next 24 hours will help to ensure that wind or rain does not blow or wash pesticide off the treatment area. This product is highly toxic to bees exposed to direct treatment on blooming crops or weeds. 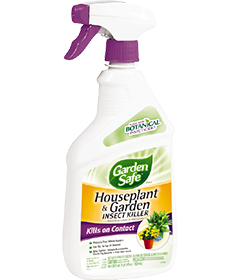 Do not apply this product or allow it to drift to blooming crops or weeds while bees are actively visiting the treatment area. Do not use or store near heat or open flame.